“Eternal though daylight may be in physical respects, it is ripe for redefinition as regards its cultural significance. 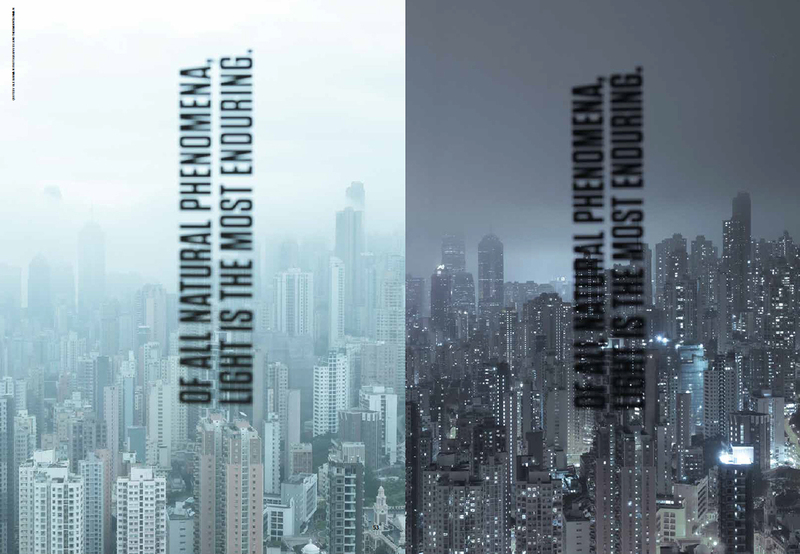 The light of tomorrow will be shed upon a new architecture.” wrote Ole Bouman ten years ago as one of the first jurors of the International VELUX Award for Students of Architecture. From modest beginnings in 2004, the award has grown into one of the most important awards of its kind worldwide, with the participation so far of almost 4,000 student teams from more than 60 countries. 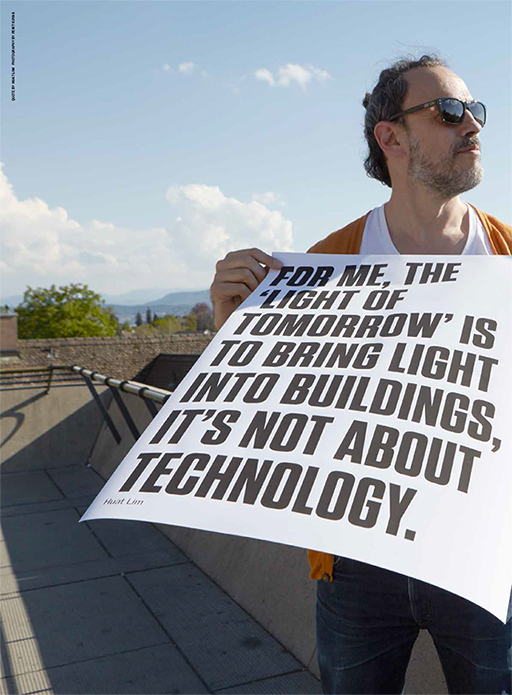 From the start, the theme of the International VELUX Award has been ‘Light of Tomorrow’. We are convinced that tomorrow’s light will be of natural origin, for nothing can match daylight in its variability, dynamics and beneficial effect on human health and well-being. Over the years, the participants in the award have developed thousands of ideas of how this natural gift can be used in buildings and dense urban spaces, as well as in the remotest rural areas. Who – if not future generations of architects – could create the new architecture that Ole Bouman calls for? And where, if not in the architecture schools of the world, should aspiring architects learn the skills to redefine the state-of-the-art in architecture, to create healthier, more people-friendly and more sustainable buildings? This issue of Daylight/Architecture celebrates daylight – and the thousands of bright reflections and ideas from students from all over the world – and embarks on a conversation about the future of architectural education. We start this dialogue by looking back at the ten years of the International VELUX Award, recapitulating some of the discussions among jurors and the issues that have been raised by the students in their submissions. This is accompanied by images from some of the award-winning and honourably mentioned projects from the last ten years. The second part of the magazine discusses the future of daylight in architecture and how architectural education should develop to support its use. We have spoken to all previous winners of the award, as well as representatives from the schools of architecture where the winners studied, and asked them about the changes and challenges that architectural education is facing. They all agreed on one point: although architects today face the need to acquire all sorts of specialist knowledge and technical skills, there seem to be a number of enduring virtues that make a good architect. These include the ability to think holistically, the capacity for creative problem-solving and for teamwork, as well as the willingness to take on responsibility for our society and the environment. 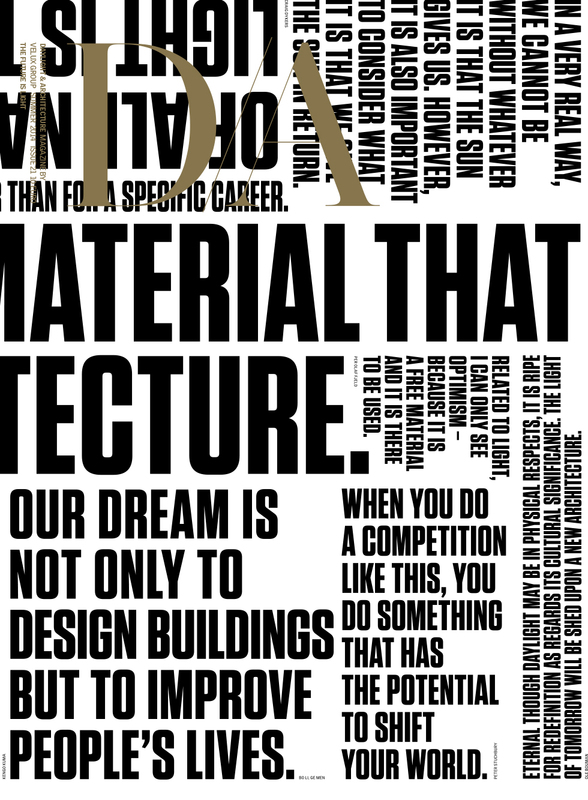 Furthermore, as the future – including the future of architectural education ? is intrinsically uncertain, students should be given freedom of thought and freedom for experiments, and be taught to ask the right questions before trying to find answers. In the months and years to come, we would like to expand the discussion on architectural education with all schools and teachers, with the international organisations involved in architectural education, and with all of our readers. The dialogue on daylight and its significance in architecture will also continue this year with the sixth edition of the International VELUX Award. In June, an international jury will select the winners and honourable mentions of the 2014 award; their names will be announced and award presentations made in October. Look out for the results on iva.velux. com – and be inspired to participate in a future edition of the award if you are yourself a student or a teacher of architecture. For access to full issues of Daylight/Architecture please visit DA.VELUX.com. #futureislight – What are your top priorities and key advice for future generations of architects and other ‘game-changers’ of the built environment? 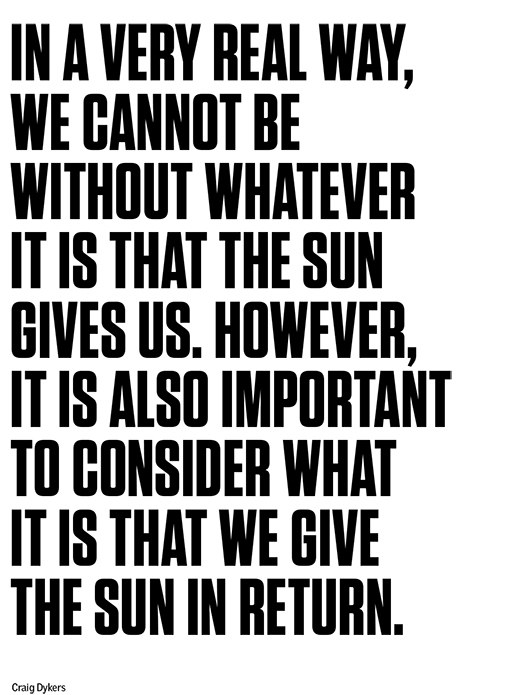 And how do you see the awareness of natural resources − including sunlight and daylight − in the architectural education and profession today?